Watch as Shawn Rider discusses the evolution of training as well as why he encourages his gym members to choose SuperFit for their competitive outlet! BJ Peyton has competed in over 15 SuperFit Competitions! 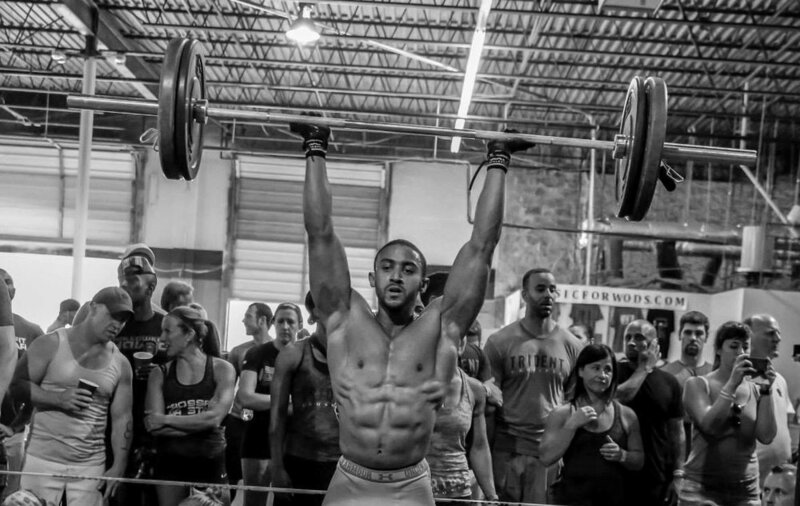 Learn about his interesting athletic background in his WOD Outlet Athlete profile! Chassity Martin has competed at many SuperFit Games events, including the Pro division at the SuperFit Games East Coast Championship! Lisa Marquette is this month's WOD Outlet athlete. Find out more about Lisa who competed with her twin sister in her first SuperFit since the East Coast Championship. Kent Ingalls, owner of CrossFit Forward, is this month's WOD Outlet athlete. Find out more about Kent and his impressive culinary abilities! Chris Evering has been putting on a strong showing at SuperFit Games events since the 2014 East Coast Championship event. Watch to learn the origin of the notorious tights, and see how this former athlete began training for and competing in the SuperFit Games. When did you begin CrossFit? I started CrossFit in 2007 after the birth of my second baby....running with 2 kids in the stroller was not fun, so my husband and his friends convinced me to try it, and I fell in love! How many SuperFit Games competitions have you competed in? I have done 5 Superfits. What has been your favorite SuperFit Games workout? My favorite Superfit workout was probably the final workout this past weekend in Charlottesville (I love running hills, so I was so happy to finally have a run in a Superfit workout!) ....Oh, and I liked the 2K row at the Championship...I like cardio workouts! What would be your ideal SuperFit Games workout? My ideal workout would have running in it, and a heavy-ish lift of some sort, and some sort of gymnastics movement. I have always been competitive, so finding something that I can compete in at my age and as a mom of 3 has been awesome. I love to see how far I can push myself and I also love meeting other people that push themselves! It's also important to me that my kids be around the competitions and experience it all. What are your training goals over the next 12 months? Over the next year I hope to get stronger in all of my lifts, and get better at all the gymnastic movements. I also hope to make it to Regionals next year. What are your interests outside of CrossFit? Outside of CrossFit, my kids and our little farm keep me pretty busy. I love playing pretty much any sport, and I love hiking!